Networking events Wealth Managers, Family Offices, High Net Worth, and Accredited investors. LEGAL CANNABIS & CBD MARKETS ARE EXPLODING! Investors poured $10 billion into the legal cannabis industry in 2018 and the combined​investments in the North American market is expected to reach more than $16 billion in 2019! The global legal marijuana market is expected to reach $146.4 billion by end of 2025! B. Riley FBR, Inc. will be hosting the 20th Annual Institutional Investor Conference on May 22-23, 2019 at The Beverly Hilton Hotel in Beverly Hills, CA. 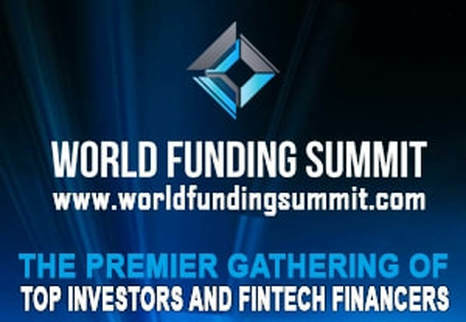 This two-day, invitation-only conference is a premier investment and networking event which brings together public and private companies with institutional investors, high-net worth individuals and corporate clients, as well as select members of the press. The conference will feature multiple tracks of company presentations, fireside chats and private meetings between senior management teams and qualified investors. The event will also feature a number of valuable networking opportunities surrounding the conference. ​The conference has steadily expanded year over year. B. Riley FBR anticipates this year's event to drive record attendance with more than 300 participating public and private companies across a broad range of industry sectors, which have been selected by the firm's award-winning research team, and over 1,200 institutional clients through the firm's broad distribution network. Analysts have strategically selected a line-up of presenting companies to showcase their stories. Sourced highly qualified institutional investors, high net worth individuals and industry professionals. On Wednesday, May 22, 2019 at 4:30 PM, we invite our conference guests to join us at the 10th Annual "Big Fighters, Big Cause" Charity Boxing Night that will take place during the conference. This event supports The Sugar Ray Leonard Foundation’s mission to raise funds for research and awareness for Type 1 & 2 Diabetes. SALT is a leading global thought leadership forum that will take its flagship annual conference back to Las Vegas May 7-10th, 2019. More than 2,000 of the world's most influential investors, business executives, and public policy officials are expected to gather to network and engage in nonpartisan discussions on the future of finance, technology, work, politics, and philanthropy. Heading into its second decade, SALT will also take on a broader scope and mission. "SALT is not just the preeminent annual event for the alternative investments industry, but a leading destination for balanced discussions on a variety of issues ranging from politics to technological innovation," said SALT founder Anthony Scaramucci. "Going forward, we will be growing our international presence with events in Asia and the Middle East and exposing our ideas to a wider audience through digital media initiatives." The Milken Institute is a nonprofit, nonpartisan think tank determined to increase global prosperity by advancing collaborative solutions that widen access to capital, create jobs and improve health. We do this through independent, data-driven research, action-oriented meetings, and meaningful policy initiatives. 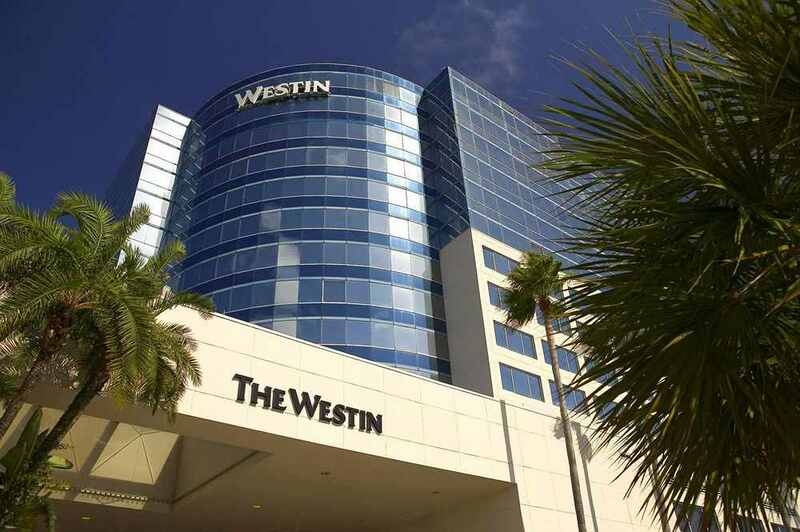 The CFA Society Orange County Wealth Management Symposium is geared for leaders in the wealth advisory community who want to take their practice to the next level. The conference is designed for financial advisors, investment managers, and other private wealth industry professionals to learn about innovative strategies and best practices. Learn about how women are impacting the wealth management industry, gain key insights into how to bring more women into your practice and hear about the unique challenges of female clients. 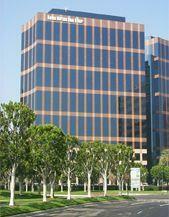 CFAOC is the premier association for financial analysts and investment professionals in Orange County. With over 600 members, most of whom hold the Chartered Financial Analyst (CFA) designation, CFAOC plays a vital role in advocating continuing education and ethical practices for professional excellence in the growing Orange County investment community. 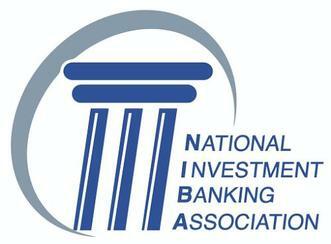 Since 1982, The National Investment Banking Association (NIBA) has been a not-for-profit association for the micro-cap and small-cap investment community and has hosted 144 investment conferences featuring public and private micro-cap and small-cap companies seeking access to the financial industry. NIBA’s member firms have a 38 year track record of successfully completing thousands of transactions totaling over $17 billion in new capital for emerging growth companies and are responsible for 90% of all IPOs under $20 million. NIBA’s network is comprised of thousands of investment professionals representing over 60 key industry services and includes over 8,800 registered representatives that have over $78 billion assets under management. This conference will exclusively feature dialogue driven panel discussions led by consultants and family offices. In order to maintain the educational value of our events, we prohibit any use of PowerPoint presentations during panel discussions. *Only Standalone Speakers will be allowed to use PowerPoints during their presentation. All other PowerPoint Presentations can be added to our Mobile App by submitting a PDF/PPT document to an Opal Associate. Speakers must keep in mind the educational objective of this event. Speakers will NOT be allowed to market specific products or services during presentations. Opal Group organizes premier conferences catered to top executives and decision makers throughout various industries. We are dedicated to providing high-quality events and information, through unparalleled speaking sessions, workshops, and unique face-to-face networking opportunities. Headquartered in New York City, Opal Group has grown to produce more than 50 events annually across the globe. The 11th Annual LD Micro Main Event investor conference will take place December 3rd, 4th, 5th, and 6th, in Los Angeles at the Luxe Sunset Bel Air Hotel. It will feature 250 companies and will be attended by over 1,200 individuals. ​LD Micro was founded in 2006 with the sole purpose of being an independent resource in the microcap space. World Crypto Con (WCC) is a global stage for industry leaders to share their projects and technologies with investors, experts, developers, businesses and attendees who are using blockchain and cryptocurrency to redefine our everyday lives. IMN is excited to host our fourth Institutional Capital & Cannabis Conference (IC3), the leading investor forum for the cannabis industry, in New York City this October. IC3 is a meeting place for investors who wish to invest or learn more about this exciting and high-growth new asset class, cannabis companies and investment funds who are looking to raise money or showcase their products, and professional service providers who facilitate these groups doing business. Cowen and Company projects legal marijuana sales will reach $50 billion annually by 2026, from an estimated $6 billion today. Marijuana is legal in some form in 29 states and Canada. Recreational use is legal in eight states, including the entire West Coast, and Canada legalized adult use this summer. IC3 New York follows sold-out events in California and Florida. We’re excited to host IC3 in the financial capital of the world and encourage investors, professional service providers, and cannabis companies to join us October 22! IMN, founded in 1994, is a global organizer of institutional finance & investment conferences. In 2004, the business was acquired by Euromoney Institutional Investor PLC, a UK company listed on the London Stock Exchange. Hosting over 50 global events annually, IMN conferences deliver timely insights from industry-leading experts, providing attendees the knowledge and resources required to make well-informed business decisions. IMN structures its conferences with a balanced buy-sell ratio, ensuring representation of the full spectrum of industry participants, and optimizing networking activities to make the most of your time. Our combination of thorough, cutting-edge programs and strong deal-making opportunities has resulted in a peerless reputation for our events in the marketplace. ​The 2018 ACGLAConference has 3 components (The Conference, The Capital Connection and The Deal Source). Over twenty years ago, the mission of the ACG LA Conference was simple: bring together like-minded individuals in the finance sector to discuss deals and connect business opportunities to generate growth. That mission is what got us started then and that same mission is what has brought us to our 21th Annual Business Conference. We remain loyal to our core vision but realize our responsibility is a much bigger one. As business continues to change at a rapid pace and the finance sector is no longer business as usual, ACG LA is committed to delivering the best educational platform, networking opportunities, deal connections and thought leadership experience on the ideas and developments shaping our business economies today. A gathering of business and tech elites, leading the blockchain revolution. The Blockchain Innovators Summit is an invitation-only event which will bring together leading experts in blockchain, cryptocurrency, secondary markets trading of digital assets, AI, edge-computing, big data and other emerging technologies to demystify the global trends and innovative approaches taking over these industries today. The four-day summit will explore the opportunities that exist in these spheres, foster learning, and discussion around envelope-pushing technologies and provide quality networking opportunities in beautiful Pebble Beach. 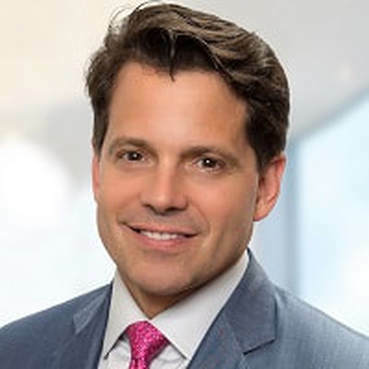 Prior to founding SkyBridge in 2005, Scaramucci co-founded investment partnership Oscar Capital Management, which was sold to Neuberger Berman, LLC in 2001. Earlier, he was a vice president in Private Wealth Management at Goldman Sachs & Co. In 2016, Scaramucci was ranked #85 in Worth Magazine’s Power 100: The 100 Most Powerful People in Global Finance. In 2011, he received Ernst & Young’s “Entrepreneur of the Year – New York” Award in the Financial Services category. Anthony is a member of the Council on Foreign Relations (CFR), vice chair of the Kennedy Center Corporate Fund Board, a board member of both The Brain Tumor Foundation and Business Executives for National Security (BENS), and a Trustee of the United States Olympic & Paralympic Foundation. 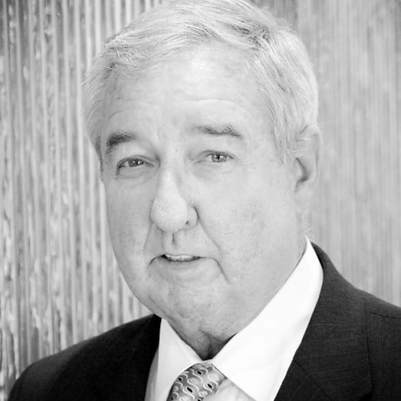 He was a member of the New York City Financial Services Advisory Committee from 2007 to 2012. In November 2016, he was named to President-Elect Trump’s 16- person Presidential Transition Team Executive Committee. In June 2017, he was named the Chief Strategy Officer of the EXIM Bank. He served as the White House Communications Director for a period in July 2017. Scaramucci, a native of Long Island, New York, holds a Bachelor of Arts degree in Economics from Tufts University and a Juris Doctor from Harvard Law School. SkyBridge Capital is a global investment adviser with approximately $10.5 billion in assets under management or advisement. Our flagship fund, Series G is a ‘40 Act registered, multi-adviser, multi-strategy fund of hedge funds and is designed to serve as a core hedge fund holding with the goal of providing additional diversification to an overall investment portfolio. Series G has a 14+ year track record, approximately $5.0 billion under management, 1099 tax reporting (no K-1), low investment minimums ($50k), unlimited IRA/ERISA capacity and no UBTI (US tax-exempt investor friendly). Orange County is the single most technology-rich epicenter for ophthalmology technology. OCTANe's annual Ophthalmology Technology Summit (OTS) will continue to build upon the rich tradition of creating a local forum where leading ophthalmology technologists, researchers, clinicians, and entrepreneurs can come together to discuss ground-breaking ophthalmic technologies, unmet clinical needs, and new business opportunities, all to fuel the ophthalmology ecosystem in Southern California. OTS will feature many other luminaries in ophthalmology including: Jim Mazzo; Brent Saunders; John Hovanesian, MD, FACS; Ehsan Sadri, MD, FACS; Elizabeth Yeu-Lin, MD; Richard Lindstrom, MD; Bill Link, PhD, and many more. The iCFO is a Premier gathering of sophisticated private equity Investors, Institutional Investors, Angel Investors, VC’s, Family Offices, Wealth managers, and other Investment professionals gathering to discover High Quality & Cutting edge early and later stage growth oriented companies. Private Equity funds, Venture Capitalists, Angel Investors, Family Office Managers, Wealth Managers, among others. Discover New Investors and Partnership Opportunities to Build your Company. Despite trade disputes and uncertainty, the relationship between California and China remains an essential bridge across the Pacific. Join us at the 2018 California-China Business Summit as we explore and highlight the vibrant California-China trade relationship and practical strategies for bilateral success. Governor Jerry Brown will deliver the keynote. Meet 100 top business leaders and investors from across China who are ready to do business with California. Access business, political and thought leaders to learn about the latest information on the dynamic partnership between California and China. 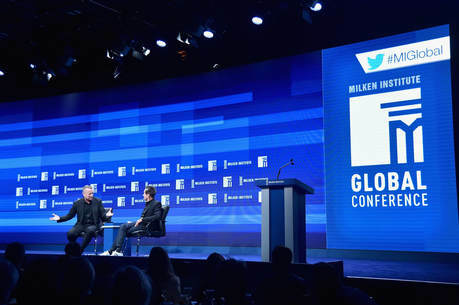 At the Milken Institute’s 21st Global Conference, the strongest minds in business, government, technology, philanthropy, academia, and media will examine these challenges to find actionable, collaborative solutions to some of the most important questions of our time. A global transformation is underway, disrupting traditional social and economic foundations and heralding an era of rapid change and challenge. Shifting political tides, emerging demographic trends, and relentless leaps in technology are bellwethers of a world in transition. These developments promise longer and healthier lives, broader prosperity, and, possibly, a more just society. To realize their potential, we must address the downsides of change: rising income inequality, uneven access to health care, diminishing financial security, polarization, and geopolitical uncertainty. Every spring the Fink Center partners with the Anderson Investment Association and Jackson Square Partners to sponsor a conference on investment management. The conference is attended by over 400 students, alumni, faculty and industry professionals who gather to hear well-respected executives share investing insights accumulated over years in the business, as well as company history and career advice. The full-day event includes a registration breakfast, multiple financial panels, fireside chats, a keynote speech, networking lunch and cocktail reception. 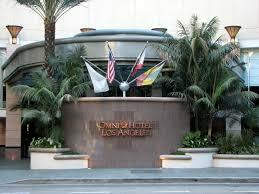 Angel Capital Expo is the premier gathering of the angel capital community. The Expo is bringing together investors and entrepreneurs looking for funding. Keiretsu Forum created Angel Capital Expo to foster collaboration among angel groups, as well as reach out to the larger investment community. At the last Expo we had over 400 angel investors in attendance with 18 presenting companies. Sutton Capital Partners is proud to present the fourth annual Recurring Revenue Conference. We invite entrepreneurs, executives and investors who want to learn about the latest innovations, business models and customer retention to achieve explosive growth. Whether you are a SaaS or subscription business, or if customer retention is critical for your success, this is the premier Southern California event to learn from the tech pioneers. Today’s analytical insights, coupled with disciplined tactics are enabling companies to deepen their customer relationships in unparalleled ways. Come hear from experts who are successfully growing their industry-leading companies, as well as from the investors backing them. "Finding Solutions" will focus on the work of individuals, companies, and NGOs to address some of China’s pressing challenges. China, not unlike the United States, confronts enormous challenges. These include deadly environmental degradation, a rapidly aging population, unequal access to education and health care, a skills mismatch between what graduates can do and what employers seek, low social trust and community engagement, regional and intraregional inequality, and low labor and capital productivity. ​Often conferences merely document such problems without exploring in concrete terms what businesses, non-profit organizations, and government agencies are doing to address them. Our China: Finding Solutions conference won’t minimize the size and complexity of such problems, but it will highlight how individuals and institutions are battling them. Our panelists will include distinguished scholars, entrepreneurs, organization leaders, and officials. We invite you to be a part of the discussion. Google LA is hosing another Silicon Beach event at the Google LA campus as Reddit CTO Chris Slowe engages one of the “Fathers of the Internet,” Vint Cerf, on topics ranging from innovation in LA to connecting the next billion users! 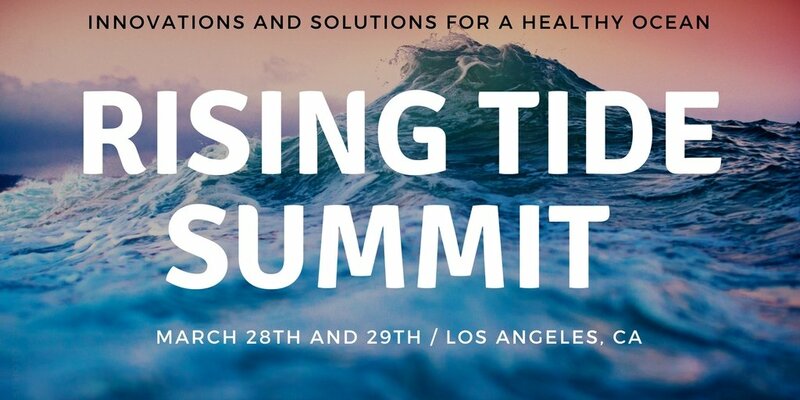 The Rising Tide Summit – with support from the XPRIZE Ocean Initiative and AltaSea at the Port of Los Angeles – will convene business leaders, thinkers and innovators later this month to discuss and unite on issues and solutions surrounding ocean conservation. The conference will be held from 9 am to 4 pm, March 28 and 29 at AltaSea’s harbor-area campus for advanced science, education and innovation incubation in San Pedro, California. The conference is designed to raise awareness about the state of our oceans and help the conservation community build consensus solutions to problems facing our world’s most valuable resource. The conference will feature panel discussions, keynote presentations, workshops and more by science experts, investors, business leaders, emerging ocean advocates and foundation executives. Several major announcements are anticipated from participating organizations regarding new projects, research and campaigns. 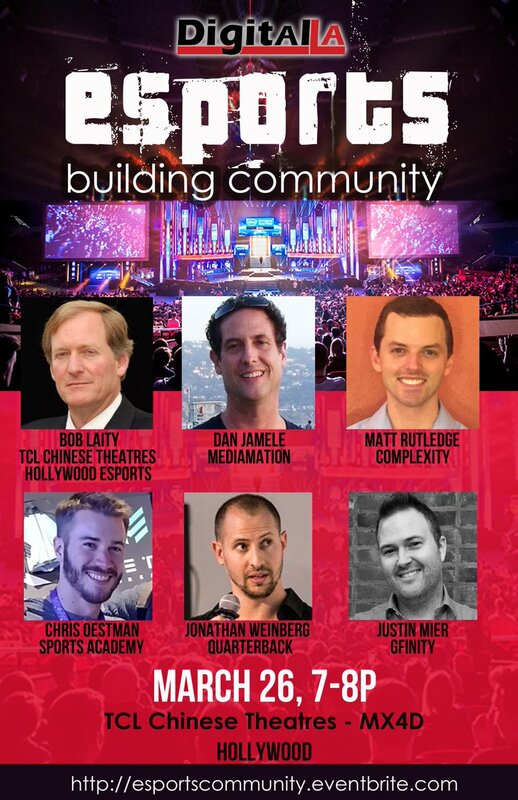 Esports: Building Community panel where we'll discuss how esports venues, leagues, and teams help build their community online via social media, Twitch, and offline via events, tournaments, meetups and more.SPEAKERS- Bob Laity, TCL Chinese Theatres CEO, and Hollywood Esports, CEO. - Dan Jamele, MediaMation, Chief Innovation and Technology Officer. Dan invented the MX4D Esports Theatre, with motion seats, strobe lighting, water, and smell effects. 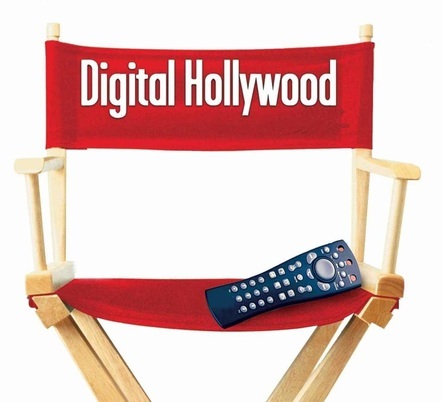 Effects are coordainted with visuals on a movie screen via pre-programmed, or live via a game jockey controlling the effects during esports tournaments. - Chris Oestman, Sports Academy, Esports Coordinator. Sports Academy is a sports facility in Thousand Oaks which recnetly added esports training classes. - Justin Mier, Gfinity, Marketing, CMO. Justin drives all marketing strategy and execution for the global Gfinity Esports business which includes flagship brands, Challenger Series & Elite Series, the Gfinity Esports Arena venue in London, in addition to our white label solutions for Microsoft, Formula 1, and other entertainment and sports companies. He recently moved to LA to expand US marketing. - Jonathan Weinberg, Quarterback, CEO. The Quarterback platform allows eSports players and other influencers to engage their fan base by hosting daily challenges, sponsoring clubs, giving away prizes and offering other perks when their fans play games like League of Legends. It lets players monetize their fans when they -- the fans -- are playing, and the professional player is offline. 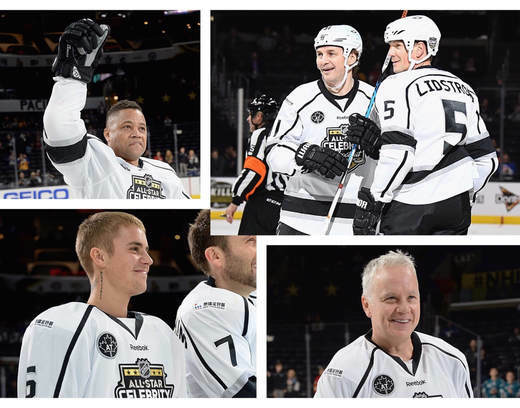 11th Annual "Luc Robitaille Celebrity Hockey Shootout"
The 11th annual "Luc Robitaille Celebrity Shootout" in Los Angeles is coming off the most successful Celebrity Shootout ever! All proceeds from this event will benefit Echoes of Hope. 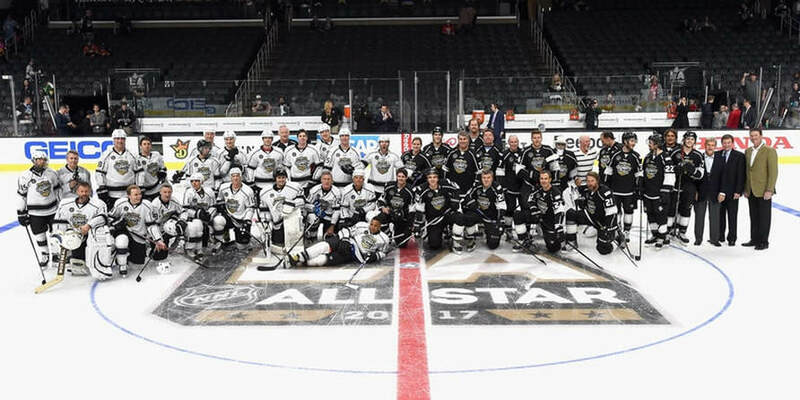 Echoes of Hope, a charity founded by Stacia and Luc Robitaille, strives to awaken a spirit of hope in the lives of children, youth, and young adults in need by alleviating barriers and helping them reach their full potential. Our commitment is to inspire and empower motivated youth through compassion, integrity, advocacy, and individual holistic support. 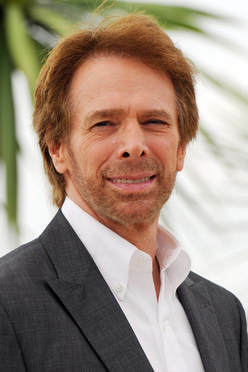 Steve Cooley is an American politician and prosecutor. 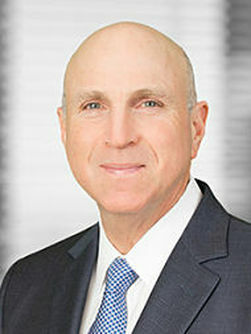 He was the Los Angeles County District Attorney from 2000 to 2012. Cooley was re-elected in 2004 and again in 2008. LA5 Rotarian, Hon. Steve Cooley has written a timely book that explores the line-of-duty deaths suffered by the law enforcement "blue" family. This book examines the deaths of eight police officers and one police canine in Los Angeles County. The chapters portray the fallen officers and the canine as true heroes who each made the ultimate sacrifice in service to their community. Steve will share inspirational and poignant stories about those who make the ultimate sacrifice in service to their community. What is LA5: The Rotary Club of Los Angeles? The Rotary Club of Los Angeles, LA’s leading business and civic organization since 1909, is comprised of over 300 of LA’s most prominent leaders in business, legal, government, and not-for-profit sectors. An historic pillar in the community, the Rotary Club of Los Angeles, also known as LA5, possesses the influence to shape the future of Los Angeles. Rotary International, the worldwide association of Rotary clubs, supports the work of local clubs. For three decades, Rotary International has united around the cause of eradicating polio from the world. Since 1985, Rotary has contributed more than $1.2 billion and countless volunteer hours to protect more than 2 billion children in 122 countries. In addition, Rotary’s advocacy efforts have played a role in decisions by donor governments to contribute over $9 billion to the effort. 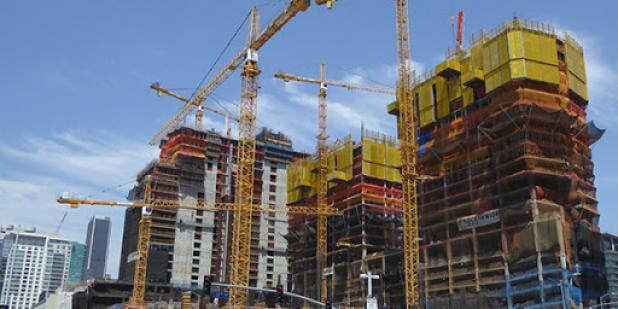 ​who are changing the Los Angeles skyline. Chinese direct investment in the U.S. reached a record $45 billion in 2016. Over a third of that came to California. The pace and scale of investment dropped in 2017. California still saw nearly $5 billion in new investment. The Rhodium Group has been a leader in documenting and analyzing these trends. Founding partner Daniel Rosen has spoken at the USC U.S.-China Institute a couple of times, including in 2013. On Thursday, Feb. 8, we are delighted to welcome Rhodium Group senior analyst Cassie Gao to speak. She has written extensively on Chinese investment in the U.S. and is especially focused on California. She will discuss the most prominent sectors for Chinese investors and the investors who are making the biggest impact in California. Cassie Gao is a Senior Analyst at RHG focusing on China's international trade and investment flows. Cassie works extensively on Chinese investment into the United States, as well as broader Chinese macroeconomic reform dynamics. The UCLA Anderson PULSE Entertainment, Sports & Technology conference brings together leading executives to share insights and perspective on the current trends, opportunities and challenges impacting the entertainment, sports, technology industries. The UCLA Anderson PULSE Conference is your ultimate forum for strategic discussion, game changing insights and career changing networking opportunities and is hosted by the UCLA MEMES Center. The Alternative Investing Summit will bring together trustees and representatives of institutions as well as money managers and consultants to explore the roles of alternative opportunities and strategies. As a strategy, alternatives offer investors a method to obtain the returns they require and break the paradigm of the 60/40 rule, however not all alternatives are the same nor do they come without certain risks. Participants and delegates of this alternative investment conference will investigate a range of critical investment issues, including discussion of the risks and benefits of various asset classes and investment vehicles such as hedge funds and private equity. The Alternative Asset Summit is the industry’s first Allocator Waived Registration event designed for the Industry Professional as collaboratively structured by Industry Professionals. The annual fall event is uniquely collaboratively structured, investor heavy and service provider light. Experientially, the Summit is a designed for the Industry Professional to efficiently accomplish their annual informational and networking needs. As attendees are predominantly Investors, Managers and only a select amount of only the most expert of Service Providers in their respective fields, the Alternative Asset Summit is unique in that it brings together the highest concentration of leading hedge fund managers and institutional investors to one venue. Given the smaller and selective attendance comprised largely of friends and friends of friends, the Summit generates 3 days of hyper-networking and concentrated open and insightful discussions generating more take-aways than larger, less personalized service provider heavy conferences. Since 2011, SVIEF has hosted successfully in the past 6 years; it has become the largest conference that fosters innovation and business partnership between China and the U.S. in Silicon Valley. SVIEF 2016 has attracted close to 10,000 attendees in two days, with over 150 exhibitors from both countries. 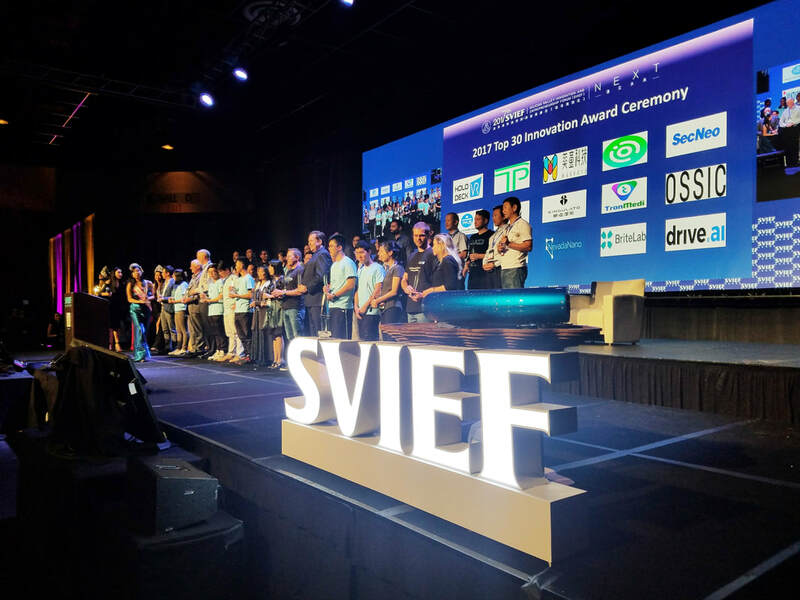 During the conference, 30 finalists from the previous SVIEF Star Startup Contests gathered at the 6th SVIEF Startup Final Contest, showcasing their innovative ideas and business potential. To enhance cross-border collaboration and resource sharing between China and the U.S., the sparks of innovation in SVIEF 2017 will start from Chengdu, China on May 10-12, follow by Shenzhen on May 14, Xi’an on May 16, Beijing on July 15 and come back to the Silicon Valley on September 28-29. 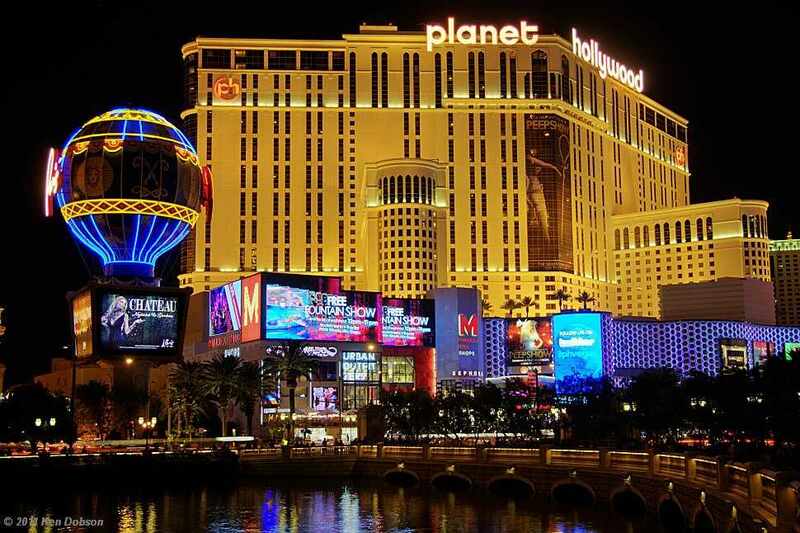 The LA conference attracts participants from across the nation and around the world and showcases some of the most influential speakers from the business, entertainment and political realms. 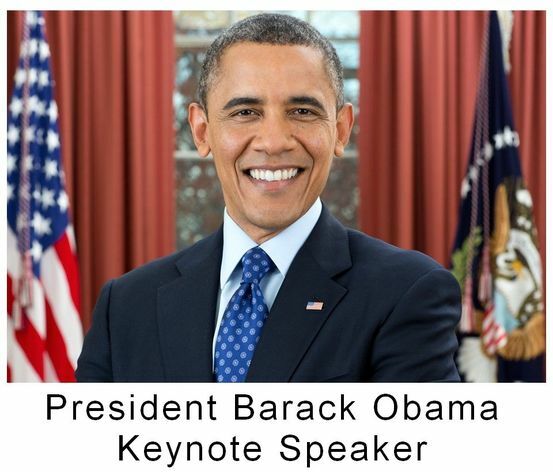 This year's Keynote speaker is President Obama. The Ivy Family Office Network (IVYFON) has scheduled forums that may be of interest to you between now and January 2018. Over the last 12 months we sold out an event a month in locations such as NYC, Switzerland, Miami, San Francisco, Austin, Texas and Newport Beach, CA among locations. Several family offices are scheduled to speak at multiple upcoming events including: Family Offices led by Steve McCarthy, Charles Preston, Richard Richman, Fred Nazem, Don Phillips, Chuck Stetson, Darsh Singh, Bob Levine, Alan Snyder, Wendy Craft of Favara, LLC, Fraser McCombs Capital and Multi Family Offices led by Carol Pepper of Pepper International, Victoria Vysotina of VV Strategic, Skip Coomber, Artivest, Ben Halliburton, Pat Soldano, Centripetal Capital, and several others. Companies who have participated in our events as presenters include the main wirehouses and institutional funds such as Black Rock, Wilshire, Goldman Sachs, Brookfield Investments. Other breakout funds and advisors have included Clean Energy Advisors, Luminous Capital, Harvest Volatility Capital, Beryl Capital, Pantera, Dome Equities, Global Sigma, Art Capital, etc.. Shadow bankers and Fintech firms that have participated include OnDeck Capital, Circle Up, Prosper, Borro, BinaryFin, iCapital and several others. Many special projects have received funding via our group ranging from healthcare to fintech to specialty real estate. We average 3,000+ annual attendees among our forums, dinner parties and other specialty events. Since our inception, more than 35,000 people have attended our events with more than 2,000 fund general partners presenting. Attached, please find the calendar for September 2017 - January 2018. The Global Trade Summit was hosted by inQbrands. The summit was a unique opportunity to learn about the latest developments in branding, global trade platforms and access to China, California, and global resources, while networking with international experts. The speakers included the China Consulate, Hai Yan Liu, who discussed China- US trade and relations. The Summit provided sessions on how to develop complete lines of branded products, from naming and logo creation, quality assurance and compliance, to US corporation registration and warehousing to e-commerce and wholesale, providing a one-stop solution to what companies need to succeed in the global marketplace. inQbrands was formerly known as Made-in-China.com U.S.A. The rebranding aims to make international trade borderless and simple. inQbrands is comprised of a team of experts in California who specialize in Sales, Marketing, Branding, Product development, Sourcing & Warehouse Logistics. To be better to serve non-English speaking countries, Made-in-China.com is a multi-lingual B2B platform, with ten languages, such as Spanish, Portuguese, French, Russian, Italian, German, Dutch, Arabic, Korean and Japanese. Focus Technology is a pioneer and leader in the field of electronic business in China. Founded in 1996, with the mission of enabling clients to drive cost down and increase sales and profits with effective web-based solutions, Focus Technology has helped many Chinese small-and-medium-sized enterprises compete in international trade, advance into new markets and meet the needs of their clients. 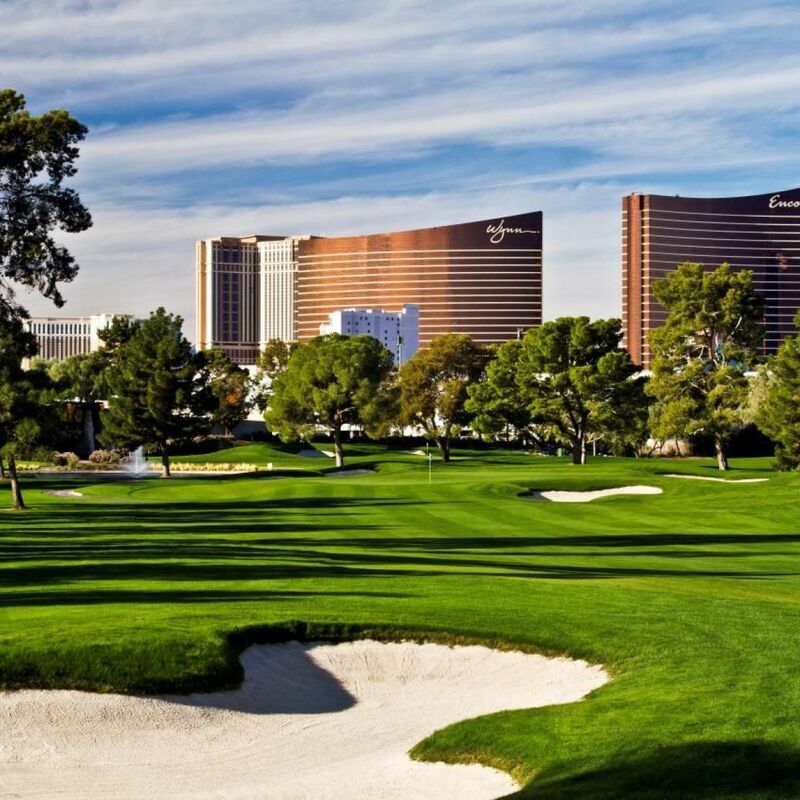 The ninth annual SALT Conference will take place from May 16th – 19th at the Bellagio in Las Vegas. Over 2,000 of the world's most influential and impactful industry influencers, decision makers and investors will engage in bipartisan discussions and debates spanning the most topical and pressing themes that are shaping the future of finance, global markets and society. Over the course of four days, more than 125 speakers – from the intersecting worlds of finance, investing, politics, public policy, pop culture and philanthropy – will participate in curated panels, fireside chats and keynote remarks. Topics include the evolving state of the alternatives asset industry, the future of American politics, the influence of policy, populism and tax reform on global financial markets and the impact of growing geopolitical tensions around the globe. Based on registrations to date, SALT is expected to draw a 20% increase in attendance amongst institutional investors, with a significant turnout from asset allocators at leading public and private pensions and sovereign wealth funds. "This year's program features an unprecedented, comprehensive lineup of speakers who will candidly discuss the world's most relevant topics, controversial issues and actionable solutions so that we may capitalize on tomorrow's opportunities and improve societal conditions," said Victor Oviedo, Co-Founder of the SALT Conference. "Over the past nine years, we have truly built a bespoke, global platform for the greatest minds in finance to exchange ideas, expand their network and grow their business." Bill Ackman, CEO & Portfolio Manager, Pershing Square Capital Management, L.P.
Jason Karp, Founder & CIO, Tourbillon Capital Partners, L.P.
John Lykouretzos, Founder & CIO, Hoplite Capital Management, L.P.
David Rosenblum, Partner & Portfolio Manager, Prophet Capital Asset Management L.P.
Ty Wallach, Partner, Paulson & Co. Inc.
Boaz Weinstein, Founder & CIO, Saba Capital Management, L.P.
Digital Hollywood debuted in 1994 and has from its start been among the leading trade conferences in its field with over 15,000 top executives in the film, television, music, home video, cable, telecommunications and computer industries attending the various events each year.During the past two decades Victor Harwood has developed and produced over two hundred leading conferences and events for artists, professionals and top executives. Mr. Harwood is considered a leading authority on the convergence of the entertainment and technology industries, founding and organizing such conferences as Digital Hollywood, Politics 2008: The Media Conference on the Election of the President, Media Summit New York, Building Blocks, Advertising 2.0, Digital Hollywood Europe in London, the Entertainment Globalization Initiative, Multimedia Expo, Production East at Lincoln Center, the International Business in Space Conference and the New York Writers Conference. He coined the now ubiquitous expression "The Digital Revolution." 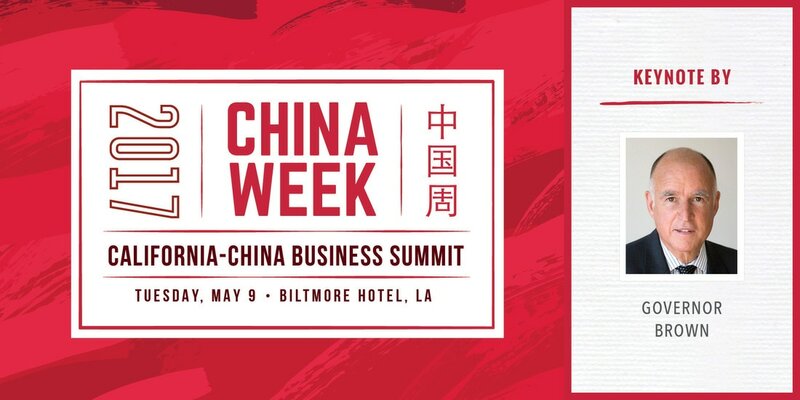 The day-long business summit is designed for California business leaders involved in or contemplating engagement with China. Meet top business leaders and investors from across China who are ready to do business with California. Access the most authoritative speakers and latest information on the dynamic partnership between California and China. 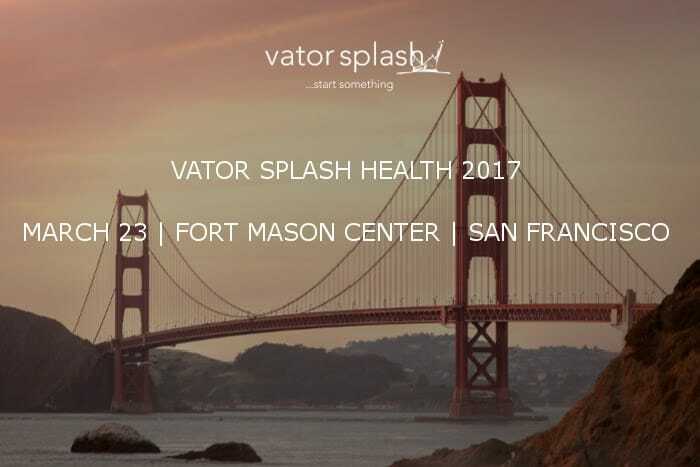 ​Expand your network of accomplished and influential people — 3,500 attendees from 50 countries, all senior decision-makers in their fields. 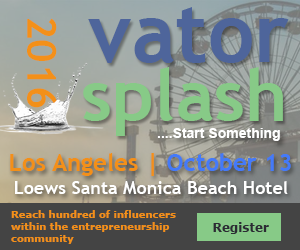 Speakers at this years Vator Splash LA 2016 event include Mark Cuban (one of the hosts of Shark Tank and owner of the Dallas Mavericks); Brian Lee (Founder & CEO, Honest Company); Leura Fine (Founder & CEO, Laurel & Wolf ); Nick Green (Co-Founder and Co-CEO, Thrive Market); Tri Tran (CEO & Co-founder, Munchery); Adam Goldenberg (Founder & CEO, JustFab); Andre Haddad (CEO, Turo); Mike Jones (Founder, Science) and many more. ​Founded and run by veteran and award-winning journalist Bambi Francisco, Vator consists of Vator.tv (soon to be vator.co), one of the largest business networks dedicated to entrepreneurship, VatorNews, Vator's news site focused on the business and trends of high-tech entrepreneurship and innovation. VatorNews has 500-plus contributors. Vator also has a technology platform called Vator Competitions, which is an online competition management system. Our Conference forum is specifically designed to capitalize upon expended time for management of presenting companies by providing an abbreviated initial 10 minute overview presentation to all conference attendees which is also live filmed, providing access to members not in attendance and an additional marketing opportunity for presenters by posting to their company websites. Additionally, scheduled one-on-one meetings provide presenting companies an opportunity to fully engage potential investors with full presentations and affords time for in-depth question and answers. The National Investment Banking Association (NIBA)Since 1982, The National Investment Banking Association (NIBA) has been a not-for-profit association for national, regional and independent broker dealers, investment banking firms, investment advisors, and related capital market service providers. FreedomFest is an intellectual mecca that encourages you to flesh out your ideas and learn new ones! It's a challenging but welcoming environment, which will push you like a training montage but then treat you to a steak dinner. Debates, panels, speeches, mock trials, a film festival, an investment seminar, receptions, banquets, karaoke, a buzzing exhibit hall...the excitement never stops at FreedomFest! ﻿﻿Much has been said regarding the timing of investing in factor-based strategies. In addition to understanding the underlying assumptions of these funds it's critical to know what's driving returns and will these tilts work going forward. Are these strategies for long-term investors only or can they be utilized as a tactical play as well? Atthe 2016 Investing in Smart Beta conference you will have the opportunity to hear from two leading experts as they discuss the pros & cons of single factor vs. multi-factor strategies and when they should be used. Smart beta’s critics have frequently contended that it’s little more than a variation of factor tilting. Yet in recent years, leading investment companies have introduced a host of vehicles based on a variety of factors, including quality, value, momentum, low volatility and size that contribute to different levels of risk and return for investors. This session will analyze the theory behind these products and compare holding a broad smart beta strategy versus implementing a do-it-yourself approach that blends factor ETFs together. 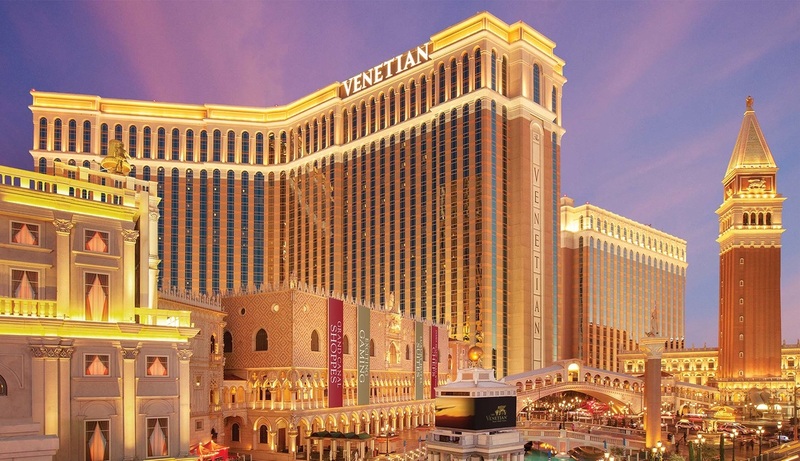 LeadsCon is the definitive conference for vertical media, online lead gen and direct response marketing. Founded in 2007, LeadsCon showcases the best people and companies in vertical media and direct response marketing. 5000+ (3,000 for Las Vegas & 2,000 for New York) people rely each year on LeadsCon for unparalleled insights and access to marketing leaders. ALTSLA is a non-profit, educationally focused alternative investment conference designed to bring the professional investor community together for a full day of dialogue and discussion on the most relevant topics facing investors today. The iCFO Investment Conference features a panel of 20 to 30 potential "INVESTORS", as they consider offers from aspiring entrepreneurs seeking debt or equity investments for their business. The Investor group evaluates the concept, product, or business model. This process allows potential investors to discuss opinions, voice interests or concerns. This meeting is limited to Accredited Investors, Angel Investors, and Investment Bankers who are interested in pre-qualified investment opportunities. iCFO Capital provides value to our clients through a variety of tools, including our Investment Conference series, Business Plan / Investment packaging, and Interim CFO consulting. How do you make it difficult for your competitors to take away customers while also making it undesirable for your customers to switch their business? Today a growing number of companies are engaging recurring revenue business models. Those who want to learn more are invited to attend the Recurring Revenue Conference on Wednesday, February 23, 2016 at Skirball Cultural Center in Los Angeles. 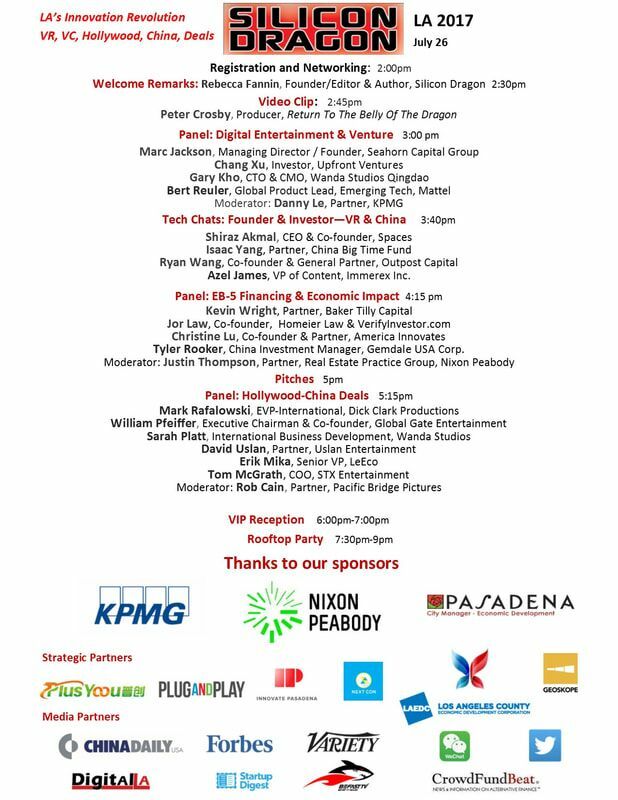 The event featuring CEOs, venture capitalists, private equity investors, financial advisors, panels, workshops and networking is sponsored by Clear Channel Advisors. “This dynamic conference highlights today’s fast-growing subscription-based economy from monthly renewals and software as a service to strategic solutions enabling companies to gain higher sales, better yields and increase customer retention,” said Brad Turner, CEO Santa Monica-based Market Completion Fund and marketing director for Quants Corporation. ﻿ Recurring revenue models empower companies to grow non-traditional sales, gain competitive advantage and increase market share in healthcare, retail, e-commerce, entertainment and hundreds of industries. Industry experts estimate the total market value of the opportunity for recurring revenue business at $500 billion or more. So what exactly is recurring revenue? According to Investopedia, it is the portion of a company's revenue that is highly likely to continue in the future; revenue that is predictable, stable and can be counted on in the future with a high degree of certainty. 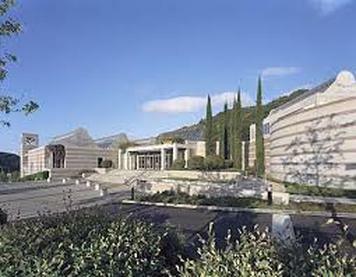 The Skirball Cultural Center is an educational institution in Los Angeles, California devoted to sustaining Jewish heritage and American democratic ideals. It has been open to the public since 1996. With recurring revenue business models shown to deliver stable, predictable income and higher customer lifetime value along with flexibility and personalization for customers, it’s no surprise that an estimated half of all U.S. businesses have either adopted or are planning to adopt recurring revenue models! With recurring revenue fast becoming the gold standard for business models as not all revenue is created equal, many of today’s CEOs are advised to build this strategy into their own business models. Unlike traditional or one-time sales models that rely heavily on customer acquisition, up-front fees and outdated manual processes like spreadsheets and database exports, recurring revenue models offer opportunities to establish continual, highly predictable revenue streams. With scalability, enhanced customer engagement and longer retention. But beware of exchanging a current business model for the quick-fix recurring revenue solution: implementation often demands planning, processes, software and systems technology, along with seasoned experts to guide you. Attendees will also learn why investors pay premium prices for companies with subscription revenue models, how successful subscription-based businesses are managing explosive growth, and why building and optimizing ongoing customer relationships are the lifeblood of subscription businesses. A host of panel presentations include The Big Impact of Big Data; So Cal Rockstars You Don’t Know-But Will, Cyber Security: The Shadow Under the Cloud, and Analytics That Drive Your Venture’s Valuation, Reinventing Med-Tech: Meet The Disruptors, and Fast Pitches To Seasoned Investors. Featured speakers are Nick Green, Co-Founder and Co-CEO of Thrive Market; Perry Wallack, CFO, Cornerstone OnDemand; Esther Nordlinger, Creative Artists Agency (CAA); Alex Backer, QLess; Heather Bearfield, Marcum; Michael Bell, Infrascale Inc; Chirag Chotalia, Pritzker Group Venture Capital; Nick Desai, Heal; Mark Hauser, OFS Capital Management, LLC; Bill Hunscher, TZP Growth Partners; Amit Jain, Bridg; Graham Jones, eSalon; Ben Kuo, Socaltech LLC; BJ Lackland, Lighter Capital; Jess Lewis, FilmTrack; Chris Lueck, FastSpring; Brian Nolan, Sellbrite; Nimish Patel, Mitchell Silberberg & Knupp LLP; Robin D. Richards, CareerArc; Jesse Saivar, Greenberg Glusker LLP; Rick Smith, CrossCut Ventures; John Tabis, TheBouqs.com; Leonard Lanzi, LAVA; Barry Yates, NetSuite; Erik Rannala, Mucker Capital; Mark Schwartz, Harvard Business School Angels, and others. The Recurring Revenue Conference be held at Skirball Cultural Center on February 23, from 8:00 am to 5:00 pm, followed by a cocktail reception. For pre-registration and more information visit www.recurringrevenueconference.com.